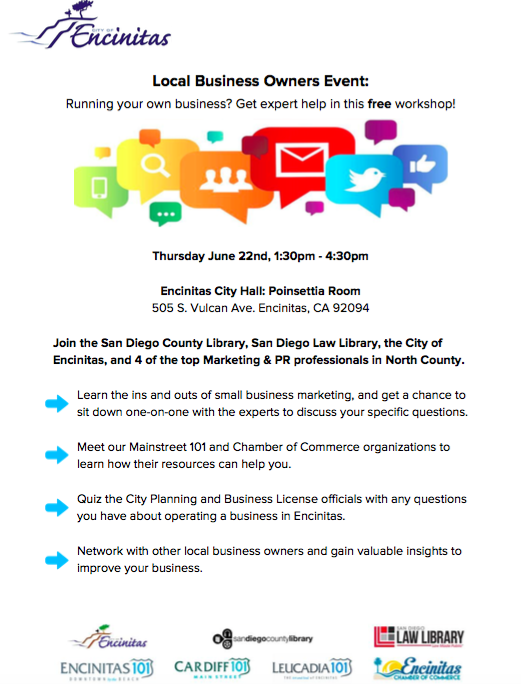 We’re excited to partner with the City of Encinitas to present this Small Business 102 seminar next week. We’ll be joined by our friends at Lighthouse Digital to talk about all of the latest digital media trends; Sara Wacker discussing PR for your business and Stefanie Mullen who will simplify the world of social media. Hope to see you at this great FREE event!